Do you want to sell your products on Twitter and Pinterest? Have you considered using Buy buttons? Adding Buy buttons to your tweets and pins lets people purchase your products right from their social feeds. In this article I’ll share how to add Twitter Buy buttons and Pinterest Buy buttons to your products. Discover how to use buy buttons on Twitter and Pinterest. Although it was announced a year ago, Twitter finally made the Buy Now button available on the platform to businesses in the United States. Retailers of all sizes can add a Buy button to their tweets. The price of the product or service is also displayed, and consumers can make purchases without leaving Twitter. 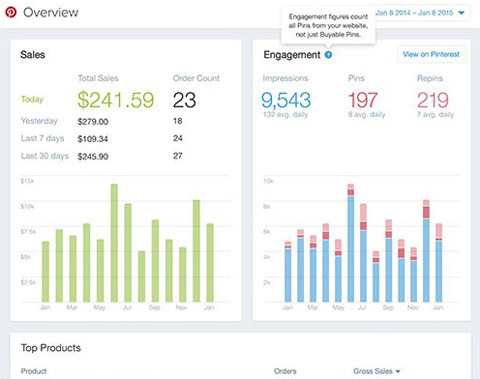 With the new Buy button, consumers can purchase your products directly on Twitter. Twitter has made it easy to get started with their Buy button. If you use Bigcommerce, Demandware or Shopify, follow the appropriate link to discover how to integrate the Buy button with your platform. 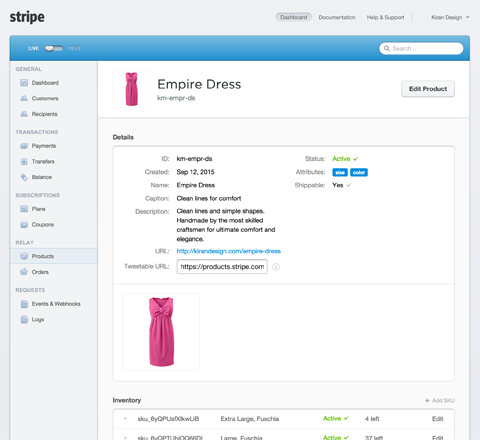 Here, I’ll share how to set up the Twitter Buy button on your products using Stripe Relay. First, create a Stripe account, if you don’t already have one. Now, connect your business Twitter account to your Stripe account. You can do that in your Stripe Relay settings, as shown below. Just go to Apps, sign in with Twitter and click Enable. Connect your Twitter account in the Stripe Relay settings. The next step is to set your shipping and tax policies. Shipping can be free or a flat rate. Tax can be included or a percentage. Go to Relay Settings to put in your preferences. These costs will be automatically factored into purchases. Set shipping and tax preferences in Settings under Relay. 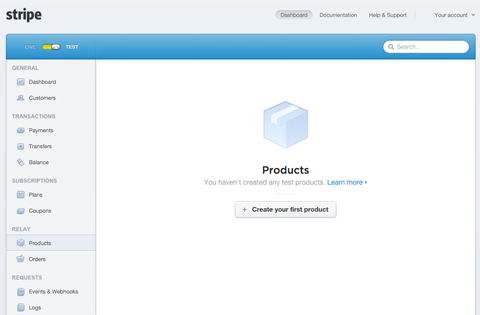 Go to the products page to create your first product. Next, fill in all relevant information. Fill in all of the information consumers need to know about the product you’re selling. Now that your product is set up, you’ll see a tweetable URL for that product on your Stripe dashboard. Use that URL in a tweet and the “Buy Now“ button is automatically added to your tweet. Twitter users will then be able to purchase your product right from the platform. Whenever an order is created, you will receive an email through your Stripe account that you can view in your Stripe dashboard. Twitter’s Buy button is still in the beginning stages of use, so we can expect to see numerous changes in the near future. However, with major brands such as Best Buy, PacSun and Adidas all signing on, it’s clear the impact on the social commerce space is just starting. Over the summer, Pinterest introduced a blue Buy It button for pins. Since 93% of pinners have the intent to purchase, this is the ideal platform for a brand that wants to expand their online business. These buyable pins fit right into the news feed, and allow browsers to purchase from pins without leaving the platform. Buyable pins are currently only available on Apple devices in the United States with payments processed through Apple Pay or any major credit card. The good news for businesses wanting to try buyable pins is that Pinterest is not taking a portion of sales. Pinterest’s hope is that they can monetize from an increase in promoted pins. Big brands such as Macy’s, Nordstrom and Michael’s have already jumped on board. Homemade goods shop Madesmith says that 7% of their sales are coming from buyable pins. “Pinterest has been the most effective discovery platform for Madesmith since we launched in 2013,” explains co-founder Nadia Rasul. People in the United States who have Apple devices are the first to be able to try out buyable pins. Image: Placeit. As of now, companies need to use Demandware, Bigcommerce, Magento, IBM Commerce or Shopify to implement the Pinterest Buy It button. Your ecommerce platform will walk you through the specific process of adding buyable pins through their site. Click the relevant link above to get more information on a specific site. As an example, here’s how to enable Buy It buttons on Shopify. First, there’s a set of requirements that your site has to meet to be approved to use Pinterest Buy It buttons so you’ll need to confirm with Shopify that you’re eligible. Next, go to your Shopify admin account to add the Pinterest Sales Channel. Click Settings, then Sales Channels and Add Channel. Then, click Add Pinterest. This will create a link to the Pinterest Sales Channel. Now, connect your Pinterest business account to your Shopify site. Connect your Pinterest account to your Shopify site. Open your Pinterest Sales Channel and click Connect Your Account. Go to the Account page, click Connect to Pinterest and authorize the app. You’re set. At this point, you’ll have to wait for Pinterest to approve your store before you move forward. All buyable pins must be approved before they go live. Once approved, buyable pins will appear on the Pinterest iOS app. When they’re live, you can check your Shopify orders page to see how they’re doing. Review how your pins are doing on the Shopify orders page. If you’re considering experimenting with social Buy buttons, it’s the perfect time to jump on board. There are several benefits to testing them out. It’s a mostly free way to advertise, and shoppers have a high intent to purchase. Plus, they promote increased social buzz. While Facebook and Instagram have announced they will be introducing buyable posts, Twitter and Pinterest are the only social sites currently playing in the ecommerce space. Both platforms are proving this can be a major opportunity for businesses of all sizes. What do you think? Have you tried Pinterest and Twitter Buy buttons? On which platform? How is social ecommerce working for your business? Please share your thoughts and experiences in the comments. Buyable Pin image created with Placeit. Tips for using buy buttons on Twitter and Facebook. Taylor is a digital marketer at Granify, an eCommerce on-site revenue optimization platform that marries data science and consumer psychology to add a layer of personalization to websites.